Samson waits quietly with his flowers, in the sun, for a friend. A little red bird comes by and asks Samson for some of his dandelions to give to a friend. When the sunny day turns into one filled with snow, Samson is worried about the little bird and starts off on a journey to find him. Samson discovers he is not the only one searching for someone and, in the end, he finds friendship and happiness. This is a warm, quiet story with a lovely message about thoughtfulness. Samson, a wooly mammoth, is quite sweet. This book would be a useful one to introduce the concept of empathy. I received an ARC of this book at NCTE last month. This is another humorous story in the style of Willems's Elephant and Piggie books. 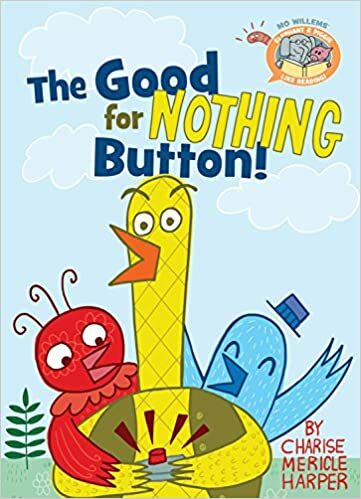 In this story, Yellow Bird has a button that does nothing and shows it to Red Bird and Blue Bird. They take turns pressing the button and find out it actually does something when it causes them to feel different emotions such as surprise, anger, and happiness. Like the other books in this series, the characters are silly, funny, and sweet. This early chapter book includes four stories about two brothers, Charlie and Mouse. Each story is a simple, day-in-the-life event of the brothers that captures the joy of childhood and the bond between brothers. The brothers are quite adorable. 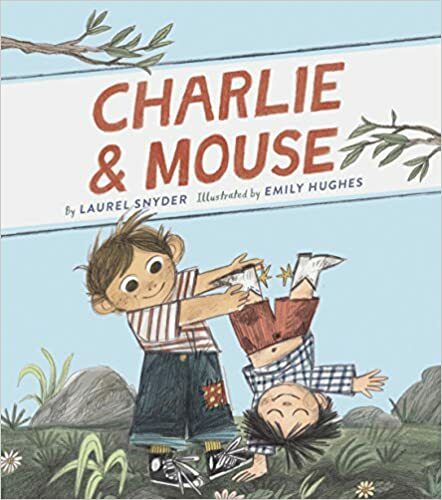 I think early readers will love Charlie and Mouse as much as they do characters in other favorite books, such as Frog and Toad and Little Bear. Isaiah escapes from the lab where he has lived against his will his entire life, but his ninety-six siblings were not as lucky to find freedom. Isaiah is not an ordinary mouse. For one thing, he is blue. He also has the ability to communicate with humans. Isaiah feels alone without his family until he meets a mischief of mice who welcome him into their home. Isaiah befriends a girl who also struggles with being different. With the help of the girl and his new mice family, Isaiah hatches a plan to set his siblings free from the lab. This story was an interesting tale about being different and having courage. There were words of wisdom, from Isaiah, at the beginning of each chapter that hinted about the events to come, such as, "All of us are given gifts. How we use them is up to us." and "Things turn out best for the mice who make the best out of the way things turn out." This story has adventure and a quick pace and an unlikely hero who readers can admire and learn from. Thank you for sharing your book choices. All of them are new to me. I loved the Samson book, too. Will note the others, Lisa, especially "Word of Mouse". What an interesting concept! Thanks for all, and have a great week! 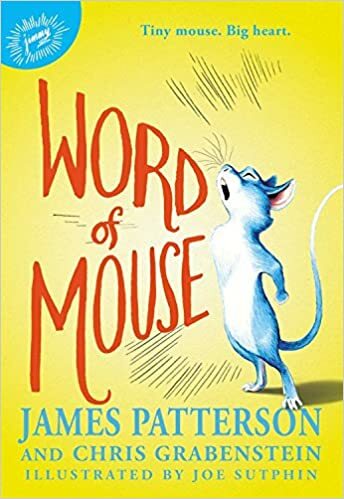 I had never read any of James Patterson's books for children before so I wasn't sure what to expect. It was wonderful. I'm sitting here in Vancouver, BC, inside my warm kitchen watching the snow, huge fluffy flakes, drift down and cover our world. Reading about Samson, made me wish I had the book with me to read. I'll be looking Word of Mouse. Your description reminded me of that classic, Mrs. Frisby and the Rats of NIMH. 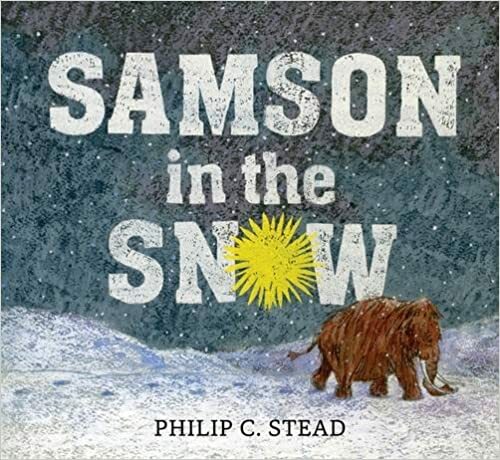 With that weather, it sounds like Samson would be a great book for you! Here in Massachusetts we had just a dusting of wet snow this morning and then it turned to rain. I have never read Mrs. Frisby and the Rats of NIMH. I should put some classics I've never gotten a chance to read, like that one, on my tbr list. Samson in the Snow sounds wonderful, and I agree with Cheriee about Word of Mouse. Looking forward to adding these to my list. Thank you for sharing! 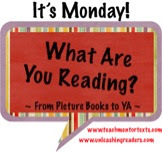 I love to learn about new early readers so thanks for sharing these two. I've got Samson ready to read this morning so was pleased to see it featured here. I've never read Mrs Frisby either! I was doing a Newbery read a few years ago but never made it even close to that far! Got really bogged down with some of the early titles. I thought Mrs Frisby might be a nice choice to save for last as it would probably be actually good, unlike some of the early winners! I definitely thought about NIMH as well. I like Grabenstein, though, so will have to take a look.